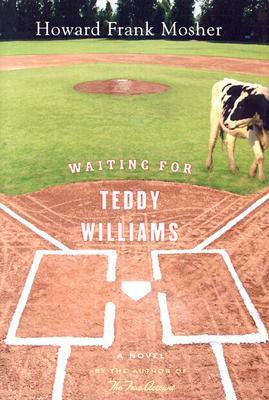 A vivid portrait of a young man's coming of age in an America that is almost gone, Waiting for Teddy Williams has been hailed by Ernest Hebert as "ranking with Huckleberry Finn in heart, spirit, and insight into the American character." The book begins on the eighth birthday of Ethan "E.A." Allen in the remote village of Kingdom Common, Vermont. Noted for its fervent, if unrequited, devotion to the Boston Red Sox, the village sports a replica of Fenway Park's Green Monster on top of the local baseball bat factory. Here, in a region that lags decades behind the rest of New England, E.A. lives with his honky-tonk mother, Gypsy Lee, and the acid-tongued Gran, wheelchair-bound since the Sox’s heart-wrenching playoff loss to the Yankees in 1978. Homeschooled, fatherless, and living on the wrong side of the tracks, E.A. is an outcast in his own town. Haunted by a dark mystery in his family's past, he has only one close friend to talk it over with, a statue of his namesake on the village green. Into the world of the Allen family comes a drifter named Teddy, who is determined to do one decent thing in his life by teaching E.A. everything he knows about baseball. As E.A. grows up and learns the secrets of the game, we get to know Kingdom Common and its flinty, colorful people. We also meet the incomparable manager of the Red Sox, the Legendary Spence, "the winningest big-league manager never to win a World Series," and his macaw, Curse of the Bambino. When the Sox’s new owner vows to move the team to Hollywood if they lose the Series again, Spence, his pitching corps decimated by injuries, has to take a chance on a young nobody from Vermont. "One of the funniest and most heartfelt baseball stories in recent memory."